A very successful fundraising event took place in the village hall on 2nd May 2015. A constant flow of eager customers came through the door to help raise funds to restore the church clock faces and have them replaced back on the tower, where they belong. The main hall was used to capacity to stage the Silent Auction and the many associated stalls, with larger items displayed on the stage. Money exchanged hands quickly at the 50p, £1.00 and £2.00 stalls. The ‘negotiable stall’ required a bit more discussion, but all done in a very friendly manner! Complimentary coffees were prepared in the back kitchen and served in the bar area where the book stall was set up. As usual, newcomers were surprised to discover they were actually standing in a room over the burn. 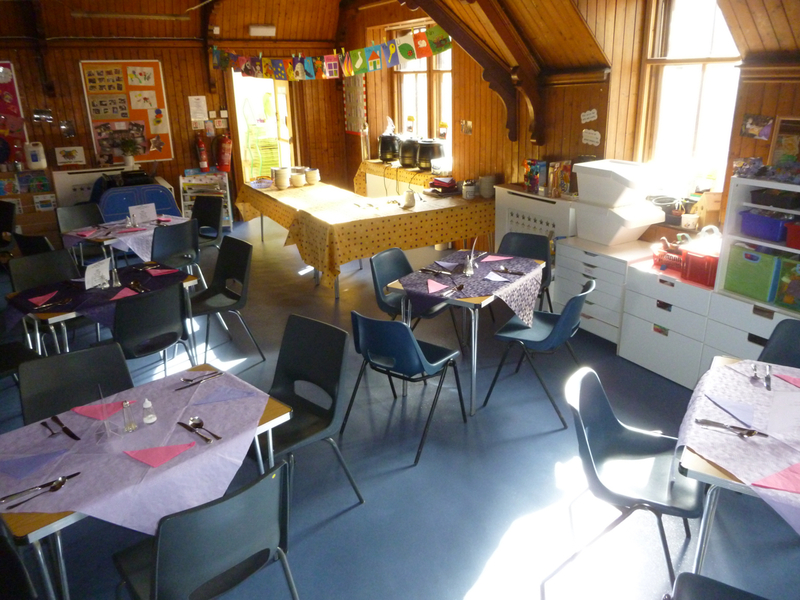 Upstairs in ‘the Mutual’, home to Auchenblae Pre School Group, the recently purchased play equipment had been easily stacked away to allow this area to be set up for the Soup and Sweet Lunches. The ‘catering staff’, all volunteers ofcourse, used the escape staircase as an easier route to carry dishes and restock the soup kettles etc. With careful planning it was even possible to set up a small table in the kitchen for those less mobile. So popular were the lunches that there was a queue at times, but this allowed those waiting to view ‘the goings on’ in the main hall from the balcony. Elderly locals were heard reminiscing of their childhood days when they went up into the balcony to watch ‘the pictures’! All in all it was a most enjoyable day and showed this wonderful hall being used to its full potential.